Expectations. Keep away from them. They’ll beckon you sweetly, even seductively, sometimes, and then throw you from an allegorical altitude in such a way that you crash. HARRRD. 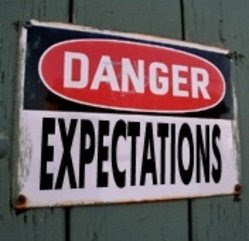 Expectations. Keep away from them.